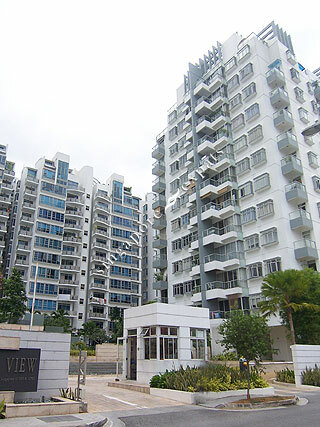 GROSVENOR VIEW is located at 1, 3 LENGKONG EMPAT in district 14 (Eunos, Geylang, Kembangan) of Singapore. GROSVENOR VIEW is a Freehold Condo development consisting of 93 units. GROSVENOR VIEW is completed / TOP in 2005 (estimated), developed by SB DEVELOPMENT PTE LTD.
Educational institutions like NPS INTERNATIONAL SCHOOL, GLOBAL INDIAN INTERNATIONAL SCHOOL (EAST COAST), ROSEMOUNT INTERNATIONAL SCHOOL, TELOK KURAU PRIMARY SCHOOL, EUNOS PRIMARY SCHOOL and EAST COAST PRIMARY SCHOOL are near to GROSVENOR VIEW. GROSVENOR VIEW is accessible via nearby KEMBANGAN, KAKI BUKIT and BEDOK NORTH MRT Stations. I ended up here while trying to find a way to contact the management of this condominium for help. It is a nice place with a pool and a bus-stop right outside the compound, but the management is quite lacking. The trees and plants appear yellow and sickly, and the pool is a little leaky. Hope this helped.